Since the news crashed in about how Haswell would suffer from Spectre and Meltdown, I knew that it's time for a new compact powerful tower. Always love a custom enclosure! I am assuming you are splitting the pcie slot into two x8 slots in order to run two GPUs with an ITX board? What riser cable are you using? 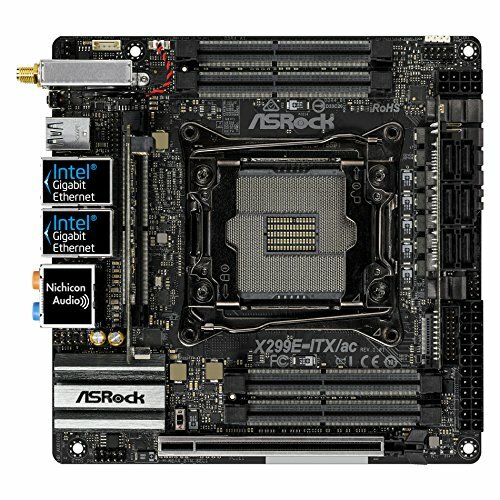 I was hoping someone would test this with a X370 ITX board from Asrock to see if you could do something similar. I believe that also has a PCI-E bifurcation setting. no throttling on the cards, or unreasonable temps? i would guess that there would be based on how close they are to one another. While they look really close, the actual spacing is almost the same as one slot spacing in the case. I didn't notice any throttle while stressing! Hehe, I searched 'bifurcation riser from Ameri-rack' and one of the links had your build in the description. I just thought that was a little funny..... Take this +1 please. How does the motherboard support SLI when it is an ITX one, did you have to do some custom modification with bios or software like that? Amazing work!